If you’d like to launch a new business, you may think about the optimal combination of founders. And how many is too many? And what skills do you need in your team? Many people find extremely hard to find cofounders, especially technical ones (who has never heard the following complaint: “I cannot find a technical co-founder”?). Fortunately, nowadays, there are many possibilities in Switzerland to find software developers who may want to join a startups: Startup Weekend, hackathons (the biggest one in Europe happens in September) or even dedicated platforms like cofoundme or startup portals like f6s. But the biggest hurdle to convince a software developer (or, more realistically, everyone who has entrepreneurial spirit) to join your startup is the lack of money. Why would I work for free for your project without getting paid as I can get a good salary everywhere else? And moreover, why working for you as I can build my own projects (which I believe in more) myself? But is the technical co-founder the first one to recruit to launch your startup? I’d say no. Have you ever heard about lean startup? You can test a lot of things without even having a product, now (read again my blog post: “Launching your service: think about UX!“). Build prototypes, go meet potential customers to test your assumptions and discover what they really want. That’s called Customer Discovery. Do you absolutely need a software developer to do this? Nope. But what you need is design skills, and especially User Experience design skills (UX). It’s not about the number of features your prototype or your product has. It’s about how easy and logical to use it is. 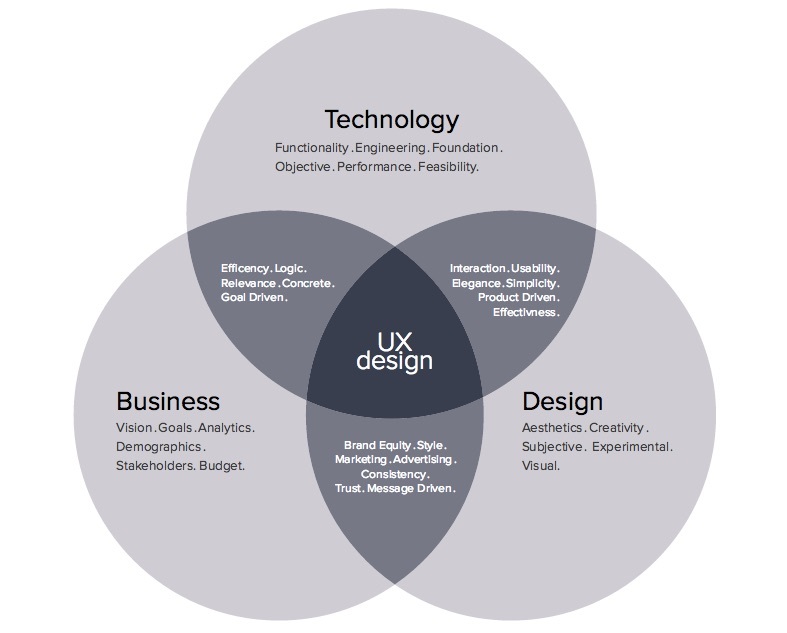 Is every designer a UX designer? No. UX designers are extremely rare, even more than the software developers you’re struggling to find to launch your startup. So, I’d say, your first step should be to look for a UX designer. How to find UX design skills or improve yours? Of course, you do not need to be a UX designer to attend the event. It’s open also to CEOs, Product Managers, CTOs. On the first day, Jeff Gothelf will do his now famous Lean UX workshop. The 2nd day, 7 speakers will present practical case studies and inspirational talks on the topic “How UX Impacts Businesses and Organisations”. About 250 people, from Brand Managers to Senior Analysts, from Interaction Designers to Experienced UX Designers, will gather to be inspired, to learn and to follow the new trends about UX. Or simply to network efficiently with other people in the field. As far as I know, it’s the only UX Conference in Switzerland (for once, happening in Western Switzerland and not Zürich ;-)! ), so seize the opportunity and get your ticket. If you cannot make it to Lausanne in June, you may interested to join a UX workshop taking place on May 21st in Zürich. UX/UI Designer: responsibility of the UX/UI Designer will be to help determining what the first product (aka prototype) will be. And then how it will look like (even if it’s jut wireframes) and what should be the user experience. Software Developer: if your product/service depends of complicate algorithm, you should have a developer from the beginning. Otherwise, you could do the first phases of customer discovery without having someone building a product. But it may also be great to develop a first, basic version of your product with hard coding early on. Business Development: the third skills you need is a business-wise partner. It doesn’t matter to have a deep knowledge in finance (for fintech startup, of course, it helps a lot!). Typically, the business developer will handle every part of business (marketing, sales, finances, administration, product management and everything that has to be done!). Industry experience and knowledge should be ideally distributed among the 3 co-founders. Or every partner has to learn quickly! Everyone needs to understand rapidly what are the key issues of the industry you’re playing in.